My last icon set included redrawn icon of actors from the Doctor who actors. I was thinking about improving my skill in redrawing photos. I tried to redraw the photo of Jim Parson. 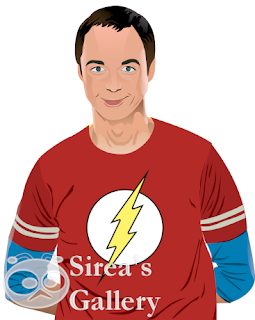 He is best known as Sheldon Cooper, the main character of the Big Bang theory series. You can see the result below.